Opinions in Borders East of Scotland footballing circles are well and truly split over the league’s decision to create one division of 16 clubs. After “careful consideration of all the factors” the board decided that there were no longer enough clubs to continue with a two-division structure following the league’s AGM last Thursday. League chairman Tom Allison said: “The decision was not an easy one as we know that not all clubs are in favour of this. We asked at the AGM for an indication of what their view was and we had a 50/50 split. “This meant the decision would have to be taken by the board and we feel that by having just one division it will generate more interest in the league. Kelso manager Prof Blaikie admitted this week that the prospect of a new structure was one of the factors in his decision to remain in his post at the club after coming back on an interim basis midway through last season. “It’s not all about managers, coaches and committees,” he said. If players don’t have a challenge to look forward to then they won’t come and play. “Last season, we played the same team four times in the space of two-and-a-half weeks. In my opinion there is nothing in that to inspire the players. Elsewhere, however, the introduction of a single-league structure has been met with reservation. 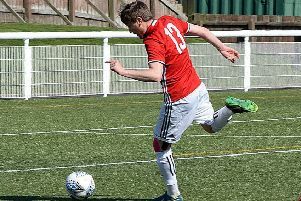 Peebles manager John O’Hara, whose team had an outstanding season that ended with them lifting the First Division title and gaining promotion, said he was disappointed. The new season will kick off on August 1. Fixtures will be issued within the next few weeks.